"Intelligent Solutions for Businesses of All Sizes"
Technology is gradually penetrating in every possible business sector. Latest trends are followed soon after the launch/introduction so that the business can become smart and growth can be secured. But who to choose as a vendor for new technologies who fits in smoothly. One who can maximize the productivity & reduce the expenditure to overall enhance the ROI. It is very crucial to fit your industry in this internet century to attract all customers from each possible genre. So, we are here to present an OMNI-CHANNEL MARKETING PLATFORM. The top advantages of this platform are that it's FLEXIBLE & ECONOMIC. 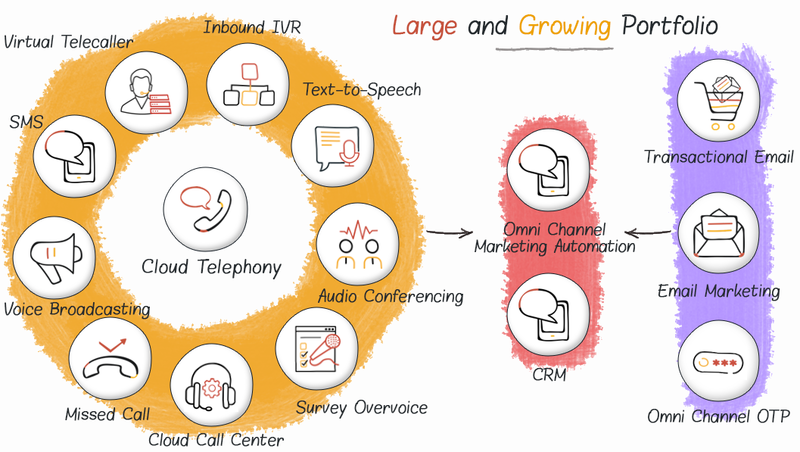 One vendor, single login but access to multiple services (Email Marketing, Transactional Email, Cloud Telephony, SMS Marketing, Voice Broadcasting, CRM etc.) is our USP. 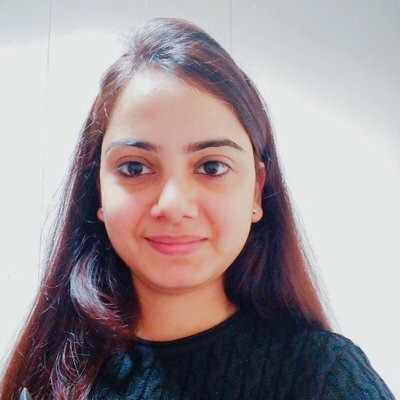 We along with the complete team always believed to create a common solution for all kind of businesses, be it Enterprises, Startups or even small shops. Choose package as per your budget and start to generate profits. And don't worry, our team is here for quick and satisfying support. 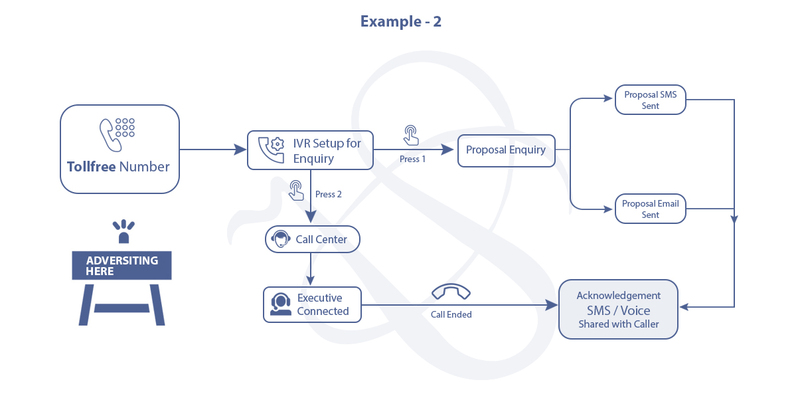 Don't bother yourself to keep a connection with multiple vendors separately each for cloud telephony, email marketing etc. Consider one example where you have to run a project which needs Email & SMS both services in combination. Now, if each of your vendors is not in equal coordination, then your project will either be delayed or will be a blunder. Both will ultimately result in financial losses. Reduce 45% of communication cost by Unified communication channels. 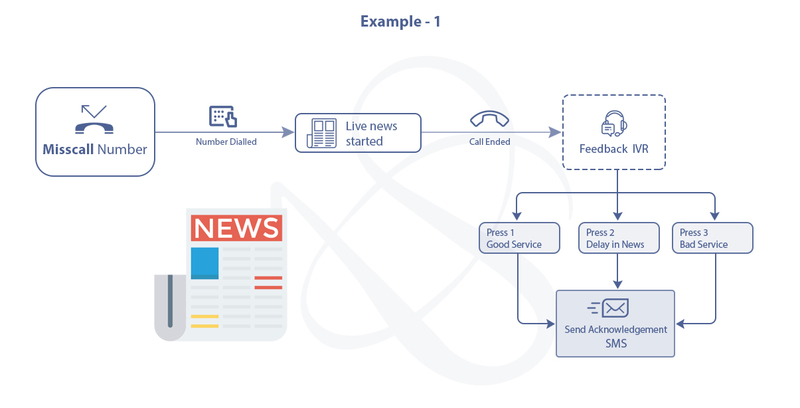 Information delivery matters, our system decide which one is cheaper and best method to deliver information, for example, if the client opens an email then no need to send SMS too. The idea coming from anywhere should be implemented. We design flexible tech to adopt the ideas. When our today’s technology tools are in hands of Creative people and if given the freedom of product customization & APIs they can do amazing things, amazingly fast. This customization allows you to run your project on your terms with no compromises involved. We are with business, which is in the stage of evolution. As business Grow and Business Spread, out tech, becomes compatible with it. Are you creative? Then there are no limits. 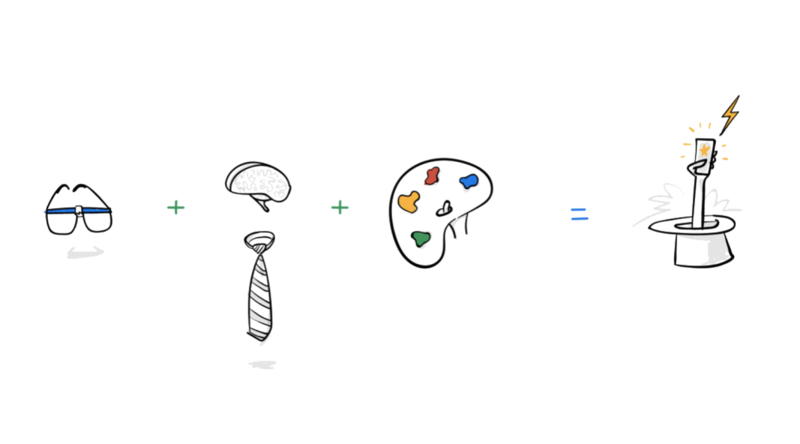 Blend in your creativity with our platform and come up with an outcome of your own choice. We serve a solution to customers. Customers share the requirement with us and we give the exact solution through customization. Dynamic aspect is helpful both ways. We get customer satisfaction and custo the er gets a reliable vendor. The user of X e-commercee Cosmetics Products in X-ecommerce.in; Once the session is over user gets Email with other unseen options, user choose one of them and try to buy it, but the transaction failed. This same user is then added to your marketing automation list and receive an automated email with order options after X number of months. 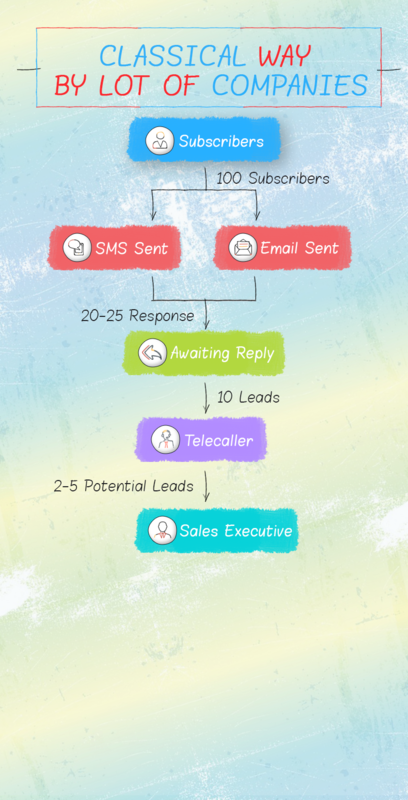 We believe that if intelligence is required then only human should interact and if the process is repeating over and over, then it should be Automatic to complete the labor tasks like COD confirmation, billing/sales follow-ups, cold calling, reminders lots of other as per the business. 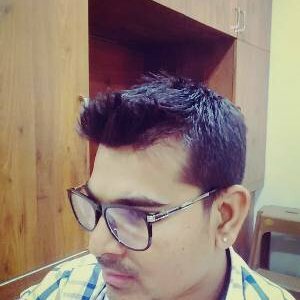 Save your time to perform some other important tasks which are not the labor tasks. It is quite clear that you cannot achieve success in marketing and sales without smart technology. 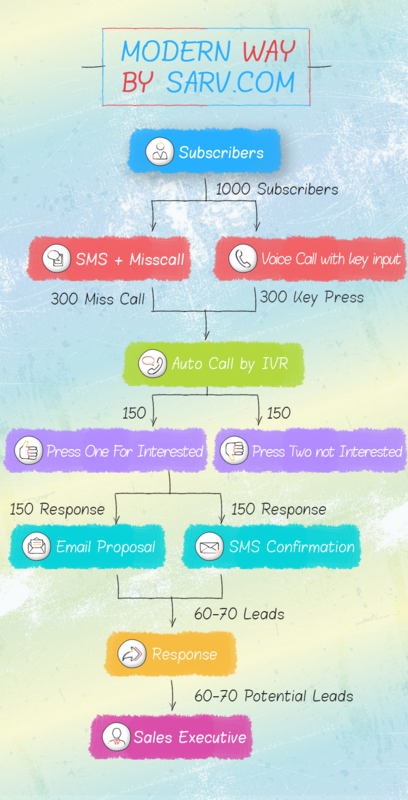 It is not enough to use only Email or only Telephony platform for marketing and sales. The purpose of marketing is to generate leads to generate revenue. To be precise, every business needs multiple marketing methods and a provider who can come up with a smartly interwoven technology. 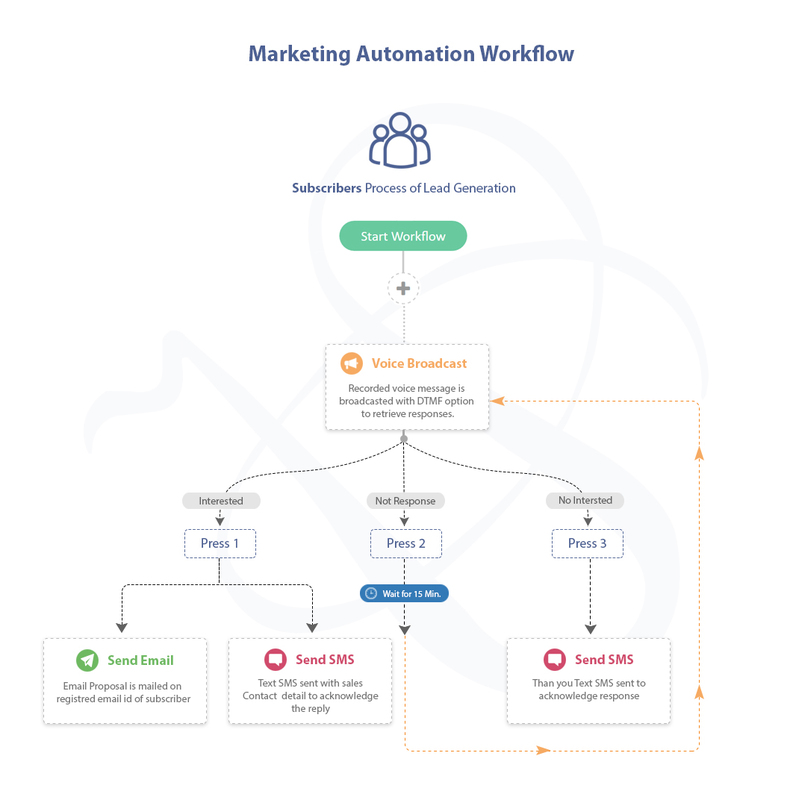 We call it "Marketing Automation Platform". Both of which are very important to do business. Now, it does not matter which type of business it is, you need influence and impression everywhere to close the deal. 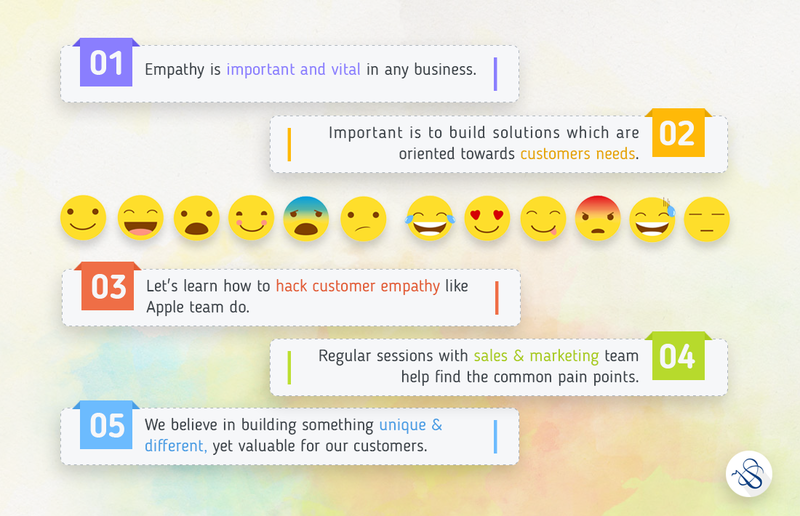 We can also call it a decade-old approach for marketing, sales and support purpose. This demands a lot of labor work and manual monitoring and yield unpromising results. What if all these tasks are handled automatically with least human interaction. Human interaction is required, for example, only when the one-to-one conversation is required etc. 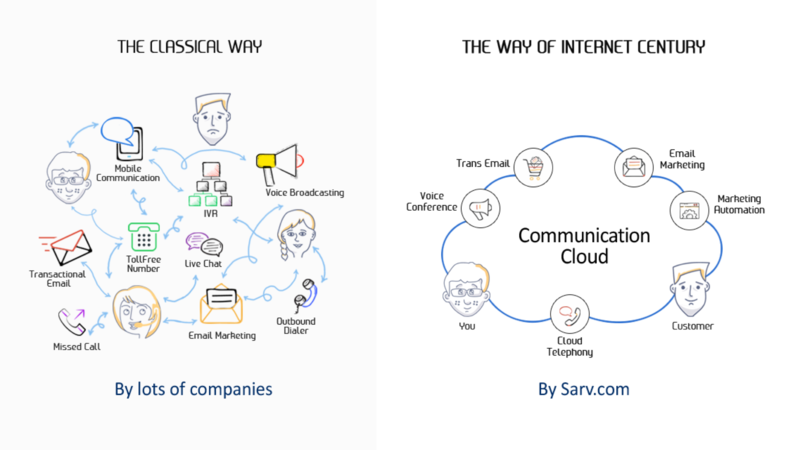 Marketing Automation or Omni-Channel Marketing or One Platform-Multiple Service approach by Sarv.com is one such solution where we understand the pain of dealing with multiple vendors. You simply need to separate the tasks which can be handled by machine from those which need human attention. Feed the flow and let us handle the task for you. User id completely free to use single service, 2 services or all services. The pay-as-you-use model helps complete the process within budget. Let's understand with one example. With time, the number of subscribers grows each day but each subscriber is not a customer. Every business focus on converting each of its subscribers to its regular and long lasting customers. Now, there can be two ways to proceed. One is the old conventional method and another is the new automated method. Both are explained step by step in images below. 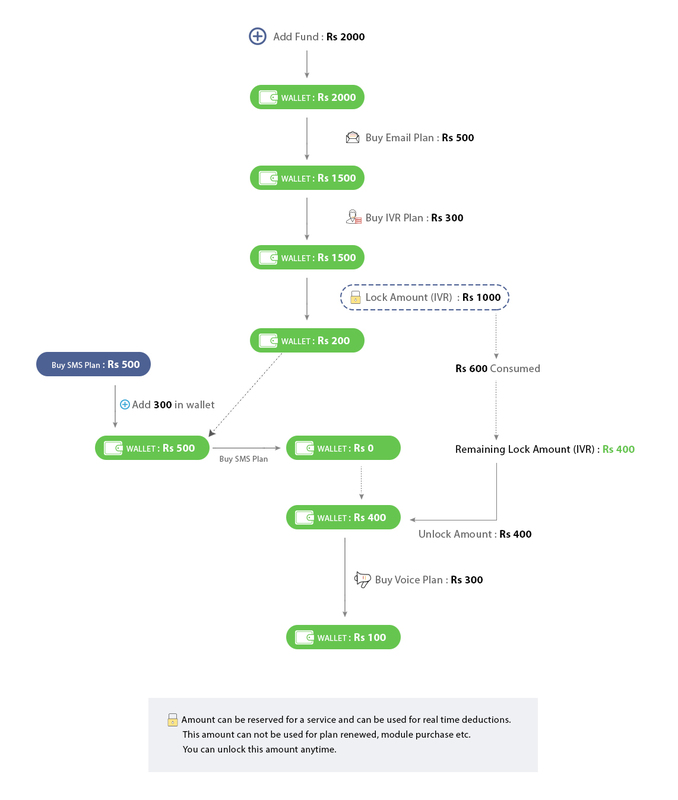 As is clear from the above 2 flowcharts, the modern approach is highly capable of generating more leads. The same is not true with the classical approach where capacity is many folds lower. A wallet is nothing new today and is actively used by many. It certainly has helped make the payment process quite easy. 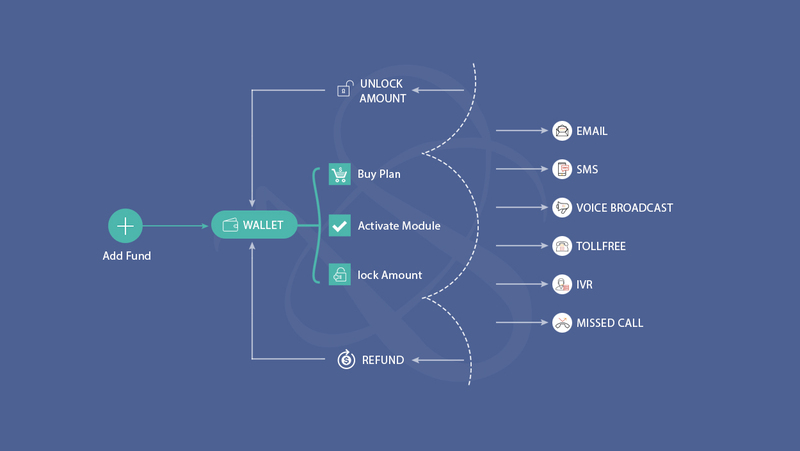 We have come up with a centralized wallet system for an easy buying process. Add your money in the wallet and use it to buy any service. Easy rotation of money makes the process further easy and losses are the least. This wallet system also helps save your money. If you do not wish to continue using SMS Service, switch to other services with the remaining fund. The flowchart below will give you the practical explanation. All amount you paid is safe. Consume your paid service to its fullest with satisfactory results enhancing your business. This cycle is a complete brief of how you can buy the service and how you can rotate the unused amount to invest in another service. The system focuses entirely on Pay-As-You-Use.